Are They Essential for Happiness? Are you looking for an intimate, long-term relationship? If so, are you searching for your soul mate? Or are you already in a serious relationship? Are you married? If so, is your spouse or partner your soul mate? Is being with a soul mate essential for a great relationship? Is there even any such thing as a soul mate – or is it just “a fantasy”? What is a soul mate anyway? These are some of the questions I’d like to address as it relates to being happy (since that’s what this website is all about – and relationships are so important to our lives). I spent a great weekend recently with 3 other guys where this topic of soul mates came up. All four of us are married, but I was the only one who answered ‘yes’ to the question, “did we marry our soul mate?” One of the guys in the group questioned the very existence of a soul mate - saying “it’s just a fantasy”. I didn’t agree since I believe I am married to my soul mate. The other two guys also said they believe in the concept, like me - even though they said they were not married to their soul mate. So what does it all mean and how does it relate to our happiness – and our relationships? Dictionary Definitions of Soul Mate: One of two people compatible with each other in disposition, point of view, and/or sensitivity; someone with whom one has a feeling of deep and natural affinity, love, intimacy, sexuality, spirituality, and/or compatibility. To start answering that question, first, what is a soul mate? Well, a couple of dictionary definitions I found are in the box above. I think these definitions leave some things out - actually a lot of things. When asked by one of the guys that evening why I think my wife, Jill, is my soul mate, my initial response (without having time to really think about it) was, “because we are essentially the same person”. But I believe that’s also only part of the picture. Yes, we are very much alike in the way we think and who we are (values, beliefs, guiding principles, etc.). Now, though, having had the chance to think about it more, my description is a bit more than that (and also a bit different). I believe a soul mate is someone who is essentially your complement in life. It’s someone who completes you as a human being – mentally, physically, and spiritually - and who you are “meant to be with”. You may have your own definition of a soul mate (and if so, I’d like to hear it from you – just click here to provide your insights). But using my description for now, does this mean you have to end up with your soul mate to have a great relationship and to ultimately be happy? Let’s explore this question a bit. Fundamentally, I believe that the best possible marriage or intimate relationship is one which has the following characteristics: (1) a relationship between soul mates, where (2) both partners love and respect each other, (3) both partners are fundamentally happy (with themselves), (4) there is intimacy in the relationship and complete trust for each other, and (5) significant effort is put into the relationship – which includes commitment and communicating effectively. All of these characteristics are required, in my opinion, for the “ideal” relationship to be possible. But I think we need to take a step back. As I described in my book - BeHappy! - and in several places throughout this website, my view is that we should not enter into a relationship as a means to be happy (as many people try to do), but rather we should be happy first, in order to allow us to find the right relationship (perhaps our soul mate) – which then makes us even happier. It’s what I call the Relationship “Happiness Loop” - which is a powerful concept you should consider in your life (I’ll touch on this more in just a minute). Key Point: While being with your soul mate provides the best opportunity for a great relationship, it is not essential. You can have a solid, fulfilling relationship – and be happy – even if you are not with your soul mate. First, though, with the five criteria I listed above for the “best” possible marriage or intimate relationship, as you can see, being with your soul mate – in my opinion – is just one component of it (albeit a very powerful one). As just one component of a multi-faceted (and complex) issue, I believe it’s not essential for a great relationship – or for overall happiness. Don’t get me wrong – it can be awesome if you have it – but it’s not essential. One of the guys on the weekend “retreat” I mentioned earlier, for example, said that he and his wife have talked about this soul mate issue, and he has told his wife that if she ever did meet her soul mate, he would support her in leaving him to be with that person. In my opinion, that may not be the right thing to do, though. Why? Because I believe being married to your soul mate does not guarantee a successful marriage – much like “love” alone does not guarantee a great relationship or the relationship between a parent and a child is not guaranteed to be great just because there is a special biological connection. As just one component of a complex, multi-dimensional issue where there are many more requirements for a solid, successful relationship, it isn’t the end-all-be-all for a relationship. So, if this is true, it is certainly possible for a marriage between two people who are not soul mates to be a better, more solid relationship if the other criteria are present than a marriage between two people who are soul mates, without those other components. Surely, a marriage between soul mates – where all of the other components are present – would create the best opportunity for a successful marriage, but that’s not easy to find or create. And if you have all components (including your soul mate) you are very fortunate – and likely very happy in your relationship. But in my little group of four guys that weekend, only 1 in 4 (25%) of us felt we were married to oursoul mate. So, if you are married, but your spouse is not your soul mate, you should be happyit’s not essential. You just need to make sure all the other components (which are more within your control) are strong parts of the relationship. And if you are with your soul mate - while you can’t just assume that means your relationship will be great forever – you should also be happy that you’ve got one of the ingredients for the best possible relationship and a long-lasting marriage. In this case (like me) you just have to make sure the other components are there, too. 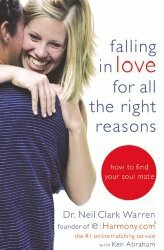 Now, if you aren’t yet married or in a serious relationship (or I guess even if you are, but you know it’s going to be over at some point) finding your soul mate may be something you are seeking, or will be seeking. And I believe it should always be an objective. The bad news, however, is that this is not something you can force, or perhaps, even control at all. Many of you probably already know this, because you’ve tried. And – although I haven’t done a study on it – I believe most people never end up with their soul mate. It’s tough to do. You could spend forever searching for him or her and end up alone your entire life. That’s obviously not good. It really just has to happen. There’s a lot of “luck” involved, and you have to be in the “right place at the right time” - with the right attitude. Two powerful forces are also likely involved: The Law of Attraction and the Relationship “Happiness Loop” I mentioned earlier. This concept basically indicates that, to secure the best relationships possible (of any kind) you must be happy first – and you will then attract the right person for you – perhaps even your soul mate. Can Two People BECOME Soul Mates? Some people believe that you shouldn't spend your life (or any time for that matter) looking for your soul mate since they're not out there for us to find. 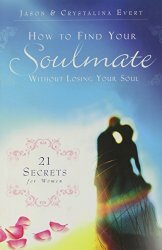 This philosophy suggests instead that two people become soul mates rather than are soul mates. I assume this theory - as with any of this stuff - can't be proven, confirmed, or disproven. The reality, however, is that ... whatever works for you is what you should believe and pursue. 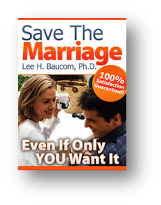 If you are already married to someone who you feel is not your soul mate, you have three choices: (1) leave that person to go find your soul mate (which, as you know from the above discussion, I don't support if that is the only thing missing in your relationship), (2) acknowledge you are not with your soul mate and just make sure all the other ingredients for a happy, passionate, fulfilling relationship are there, or (3) become soul mates (as some people believe is possible). 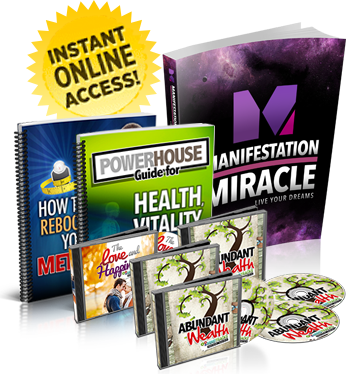 Since the objective of this website is to help you be happier in your life, my perspective is that you are already doing what you need to do to attract and/or maintain the best possible relationships – you are seeking to be happier. And, since all three of the above options are possible if you are happy (since happy people will attract the right person and will create an outstanding relationship, regardless of the circumstances) you are on the right track to finding your soul mate - or creating a soul mate situation in your current relationship. SOUL MATE: the romantic belief that every person's soul has a counterpart and true happiness and fulfillment can only be found by meeting and joining with that counterpart. In some cases this search may span several incarnations. Some people consult psychics, astrologers and so on in an effort to find or attract their soul mate. Opinions differ as to whether soul mates will come together naturally or whether they must earn their affinity. It is generally thought, however, that an obsession with soul mates puts unnecessary pressure on a relationship by creating impossible expectations. I’ve put some other tips for finding “the right relationship” in the article called How to Develop Better, Stronger, Longer-Lasting, and More Fulfilling Relationships. 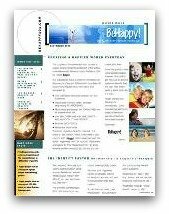 And there are many other relationship-building articles here at BeHappy101.com, with many more to come.